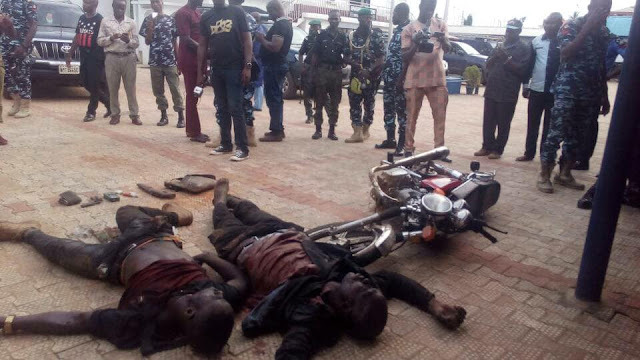 According to a statement by the state police public relations officer, Nkeiruka Nwode, the suspects and other members of their gang that are currently on the run, kidnapped a 32-year-old man named Nnamdi Ibru at a fuel station in Obosi on Wednesday, October 11th. 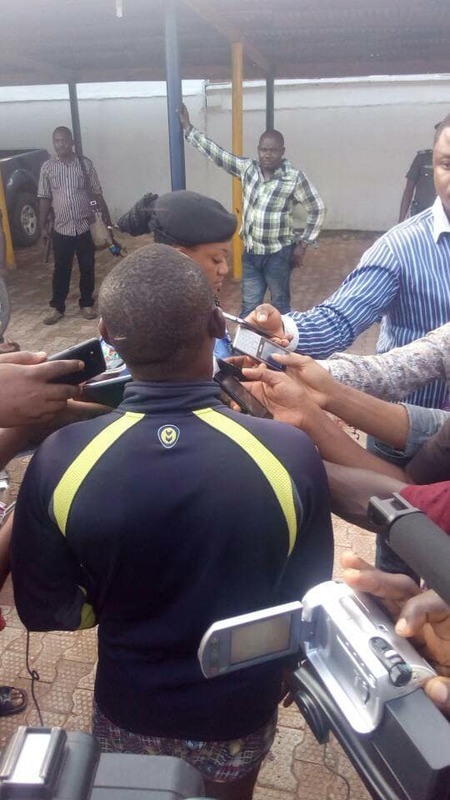 The kidnappers then contacted his family members and demanded Twenty Million Naira as ransome. Police detectives attached to Special Anti-Robbery Squad of the Command (SARS) trailed the kidnappers as they were coming to collect the ransom yesterday October 13th. 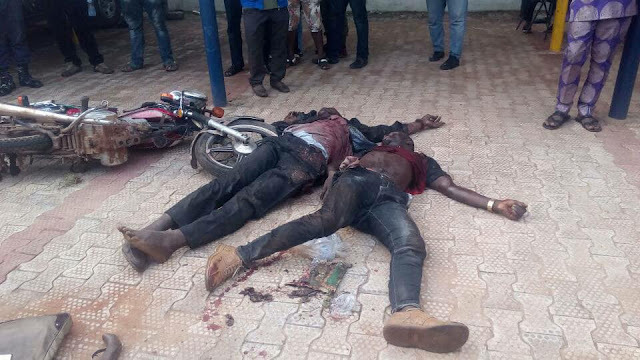 As the hoodlums got wind that the Police was trailing them, they opened fire at the police. 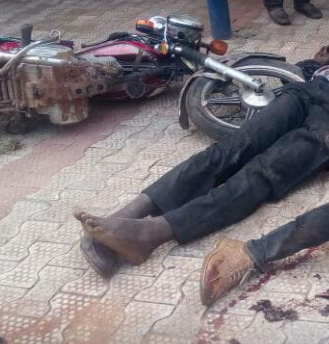 The Police shot two of kidnappers died while other members of the gang escaped with bullet wounds. The victim was rescued with bullet wounds on the shoulder and the leg.